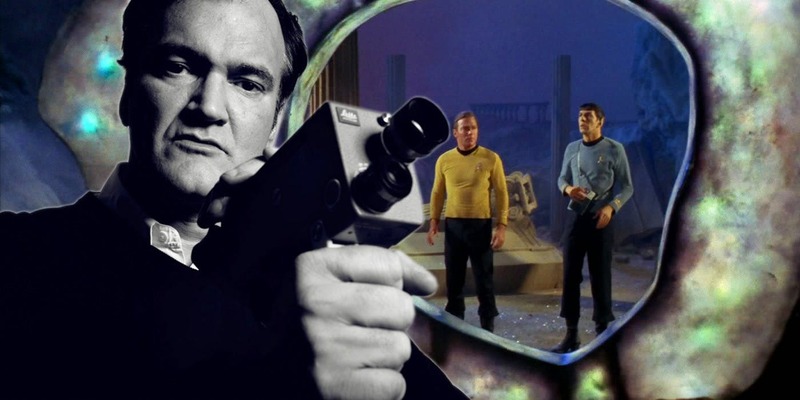 Paramount Pictures has selected Mark L. Smith (The Revenant) to pen the script for the R-rated Star Trek film that was born out of an idea from Quentin Tarantino, who plans to direct it as well. He will also serve as a producer on the project along with J.J. Abrams. First reported by Deadline, Paramount and Abrams became enamored by Smith after he wrote the screenplay for Overlord, the Bad Robot produced World War II film. Earlier this month it was first reported that Tarantino had come up with a potential story for a Star Trek picture, leading to a writer's room meeting with Tarantino and screenwriters Smith, Lindsey Beer, Drew Pearce, and Megan Amram. Smith was clearly the frontrunner then and that was finalized today when Paramount completed a writing deal with him. Paramount hopes to see the success that other R-rated franchises have had, most notably Deadpool and Alien. Smith will work on the script while Tarantino focuses on his next film, currently being called #9. Set in Los Angeles in the summer of 1969, Tarantino’s upcoming movie, according to a source who read the script, focuses on a male TV actor who’s had one hit series and his looking for a way to get into the film business. His sidekick—who’s also his stunt double—is looking for the same thing. The horrific murder of Sharon Tate and four of her friends by Charles Manson’s cult of followers serves as a backdrop to the main story. Sony announced that it will be released on August 9, 2019, timed to the 50th anniversary of Sharon Tate’s death. The cast is rumored to include Margot Robbie as Sharon Tate, and Samuel L. Jackson. Leonardo DiCaprio, Brad Pitt, and Tom Cruise have reportedly been talked to about playing one of the two lead male roles, but it’s uncertain if all three will appear in the film. It will be produced by David Heyman, Tarantino, Shannon McIntosh, with Georgia Kacandes as executive producer.